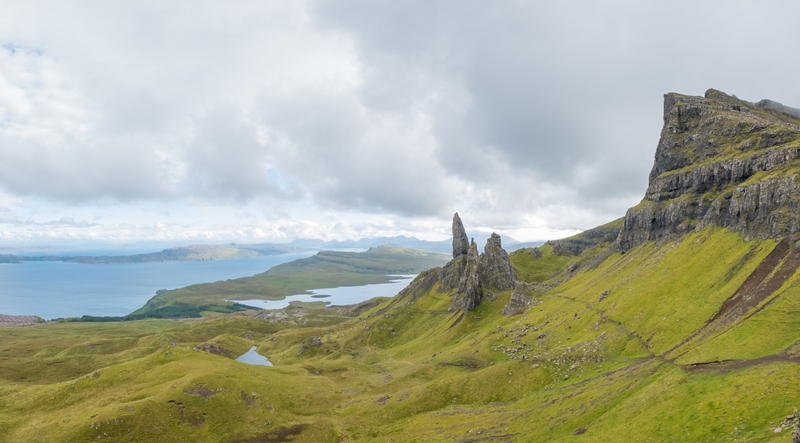 Highland Council has rejected a proposal to transfer land to a community group aiming to develop facilities at the Old Man of Storr. Staffin Community Trust wants to buy roadside ground to build a new off-road car park, public toilets and interpretation facilities at the popular beauty spot. The council had previously earmarked £400,000 of development funding for car park improvements at the site. However, the trust wanted that money to be used to kick start an even bigger project – including much-needed toilets. They planned to seek match funding from a variety of sources to deliver a project estimated at up to £900,000. In their decision notice to the SCT the council also took issue with the plan to separate the car park area from the remainer of the wider site, suggesting this would “separate the revenue generating potential of the site from the burden of management and maintenance.” The SCT had proposed charging a fee to use any new car park. SCT submitted an Asset Transfer Request to the council in March – the first in the Highlands under new Community Empowerment legislation. A council statement said: “Highland Council has been working with the Staffin Community Trust towards significant visitor management improvements of the Council-owned site at the Storr for some time now. It was envisaged that improvements could be delivered through an innovative approach to working in partnership, enabling both to deliver more together than either could achieve alone. Eilean a’ Cheò Ward Members John Finlayson, John Gordon, Ronald MacDonald and Calum MacLeod have backed the decision taken by the council’s asset management project board on Tuesday of this week. John Gordon said: “We are supportive of projects that help improve much needed infrastructure, for the benefit of local communities and improved visitor management. In relation to the specific request at the Storr, however, member support would require guarantees that this is delivered through a mechanism that does not separate any council capital investment and revenue generation from the responsibility of the management and maintenance of the council owned site in its entirety. Members would also require that it protects the wider public benefit and interest in perpetuity and protects the council’s financial interests.